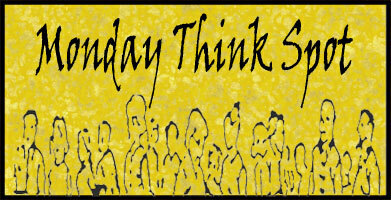 G’day and welcome to Partakers and our Monday Think Spot! We have the start of a new week! Its Monday! I don’t know how your weekend went, but I had a weekend that I want to forget quickly! It could be said that I did not have a peaceful weekend dealing with situations that arose unexpectedly. I am at peace now but was not at the time! I had this little voice inside me repeatedly saying “Trust me… Be at peace with yourself.” The Holy Spirit was ministering to me amidst the turmoil despite my often not wanting to hear that! However, that doesn’t give us as Christians a mandate to sit around not doing what we can for peace. Unsurprisingly the Bible has a lot to say about peace! Jesus commanded us to be peacemakers (Matthew 5:9) because our God is a God of peace (1 Thessalonians 5:23), and the Kingdom of God to which we belong is about peace in the Holy Spirit (Romans 14:17). Peace is to be our business! In a world full of peaceless-turmoil, such as conflicts between nations, conflicts between neighbours, conflicts even within families and conflicts within and between churches, Christians are to be peacemakers! If you are a Christian, you have peace with God because Jesus Christ is your peace between God and yourself (Ephesians 2:13-18)! More than that, we are to be at peace with others! Now this can be hard! We are commanded to be peacemakers (Matthew 5:9, James 3:17-18), living at peace with everyone (Romans 12:17-20) and do everything possible which leads to peace and mutual encouragement (Romans 14:13-19). And even more! We are to remain at peace when confronted with peace-less circumstances and events! We are to seek peace in these events which is a gift of God (John 14:27, 2 Thessalonians3:16)! Whereas worldly peace requires manipulation of circumstances, God’s peace comes regardless of circumstances! When faced with circumstances, events and troubled times, we are to grasp hold of the peace of God that surpasses all human understanding! This inevitably leads you to have an untroubled, unfearful heart and mind(John 16:33)! WOW!